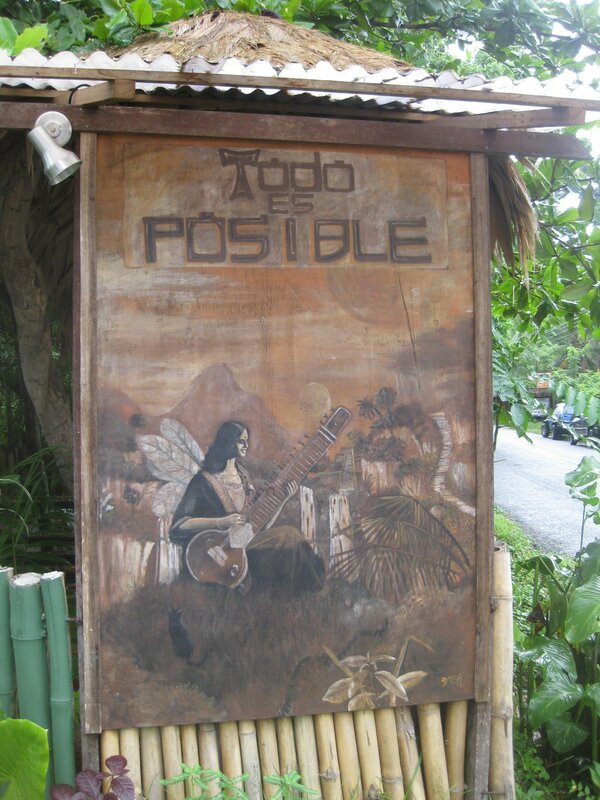 Madre Tierra Puerto Viejo is a highly recommended restaurant based in Puerto Viejo de Talamanca. Given its excellent veggies, it is a number-one spot for vegetarians. Tough it is a bit out of town, the locals and adventurers venture into this place for the quality dishes and beverages. So, if you are a vegetarian, this is the right place for you. As it easily gets crowded, you’d better book a table upstairs, the right place for your meals. 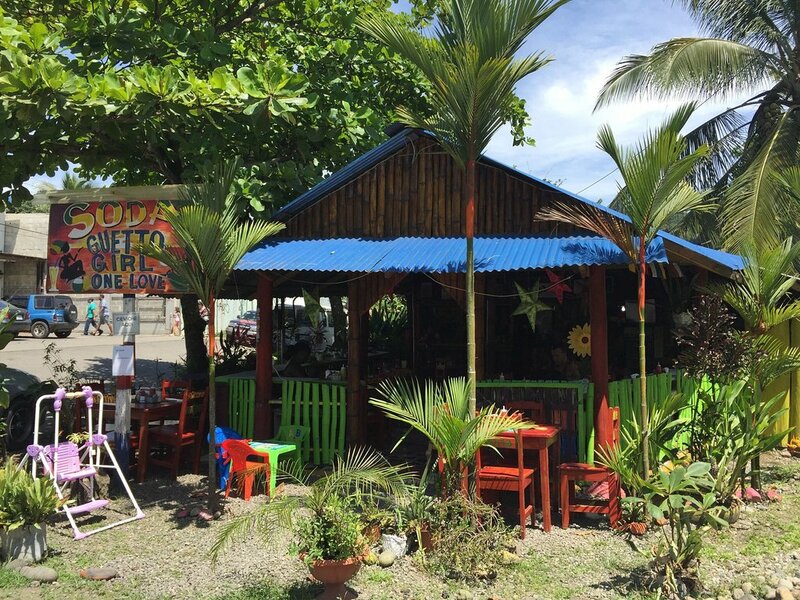 Lazlo’s Catch of the Day is the best place for seafood in Puerto Viejo de Talamanca. It is the main go-to spot for fish. Thanks to the skilled connoisseur of the spot, even those who don’t like seafood enjoy savoring it there. So, they realize that the blandness of the seafood they have eaten at home or in any other place is the fault of the unskilled cooks out there. Yes, this traditional spot is the exception in this regard; you will love every bit of its seafood, which is incredibly cheap. 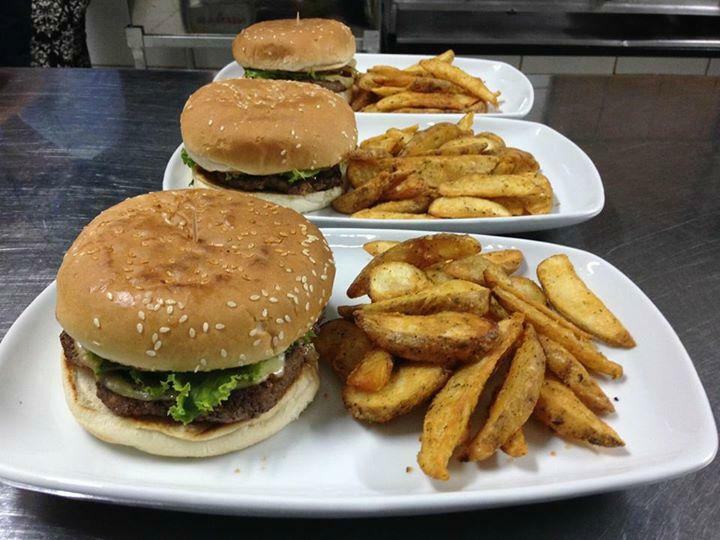 Pura Gula is a small restaurant providing the clients with delicious dishes at unbeatable prices. 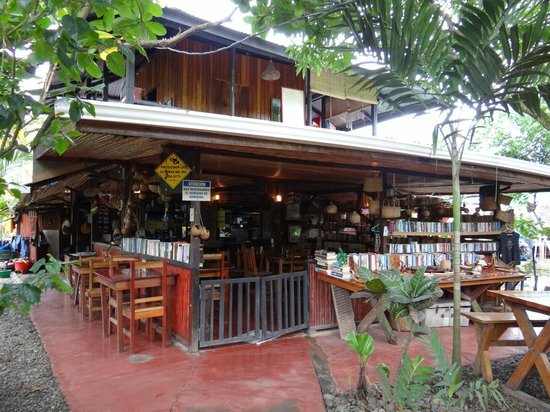 If you are around Puerto Viejo de Talamanca, you won’t want to miss out on this spot. Despite the size, it can hold many visitors, groups, friends, and families. As you prepare to visit this place, take your cash with you. That’s the only way to go. 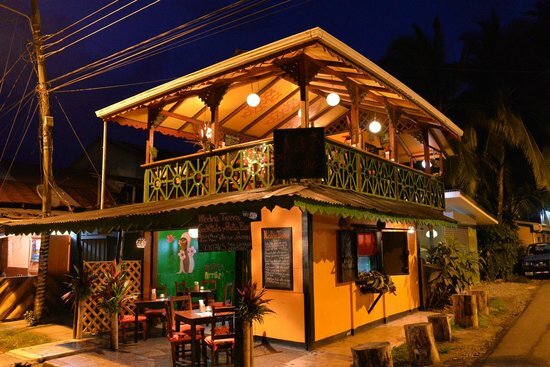 Located away from the main drag in Puerto Viejo de Talamanca, Soda Johanna’s is a small yet great restaurant near Cockles Beach. 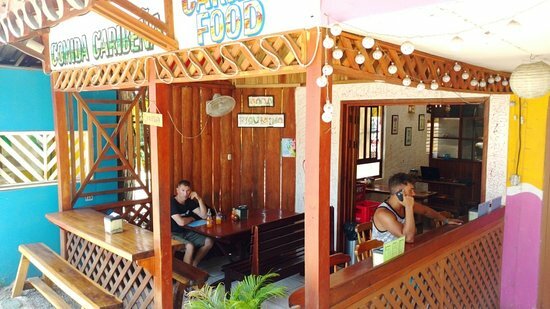 It offers excellent foods and services for the locals and the travelers alike. It usually gets full due to its many visitors. So, make sure you make a reservation before going for meals. You’d take your partner with you. The menu offers Casado, chicken, rice, Caribbean sauce, drinks, shrimp, fish soup, tacos, Fanta, picante sauce, beans, tuna, coconut pie, ginger ale, water, plantains, and much more. The food is cooked with passion; everything is perfect. For lunch or dinner, you can order fish soup; its cream is full of flavors. If you need more food, you can order Casado, which comprises in many foods such as chicken, rice, beans, and more. The rice is excellently cooked with coconut. The tuna is also unbeatable. There is Picante sauce to accompany your meals. You need to order this sauce; it is more appetizing. Then, you can end your food with the coconut pie. As for beverages, the spot offers beer, ginger ale, Fanta, and coke. The drink accompanied with ginger is delicious. 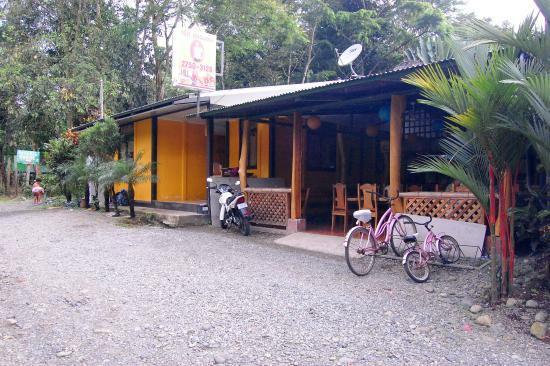 Surrounded by beautiful nature in Puerto Viejo de Talamanca, Cafe Rico offers quality foods at reasonable prices. It excels in Costa Rican cuisine. The spot is visited by both locals and travelers. Since it easily gets crowded, you’d better make a reservation before you pay a visit. The spot has many amazing things awaiting visitors, most of which will be a delight in your eyes. The menu offers excellent coffee, sushi, ceviche, lemonade ginger, tea, banana bread, fruit, avocado, fresh orange juice, maple syrup, omelette, potatoes, bacon, eggs, beets, Ama Rosa, and much more. All these foods are excellently made. The dishes are served in large portions; you can share your dish with your partner at the table. For breakfast, you can start with banana bread with coffee. This breakfast is flavorful and energetic enough for you to go through your day. The veggie omelette is worth ordering. Depending on your liking, you can order yogurt as well as fruit. To this order, you might as well add granola plate; this large plate will get you full. The homemade lemonade is best enjoyed with ginger. You can also pick other great foods from the menu. The staff is very friendly and hospitable. They welcome every client. Since it’s a highly frequented spot, the clients are amazed as they find their friends and new people from different walks of life. As soon as they make their orders, the fast servers bring their entrées in a timely manner. They also ensure they are happy with the food. When they need more dishes, they just reach out to the ever-present staff. Aside from the excellent foods, the restaurant offers other quality services such as laundry services. Todo es Posible offers the best Italian dishes at affordable prices in the country. 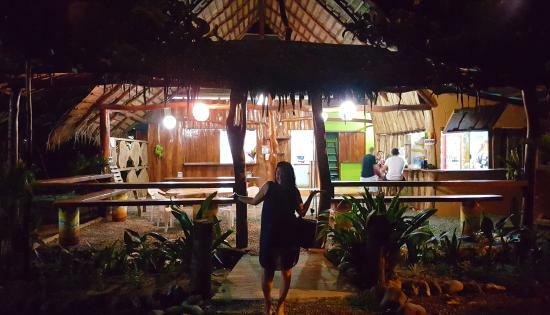 No matter how many Italian restaurants you have visited in Costa Rica, this one will capture your attention as you put it on your list. 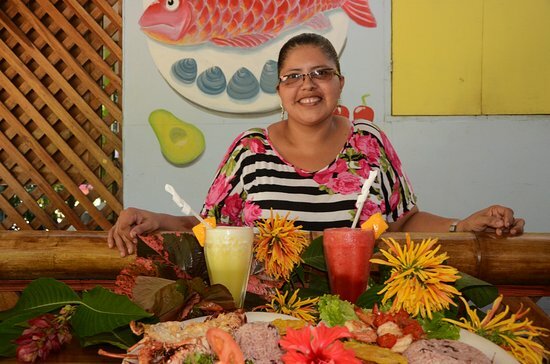 This family-run restaurant is based in Puerto Viejo de Talamanca. 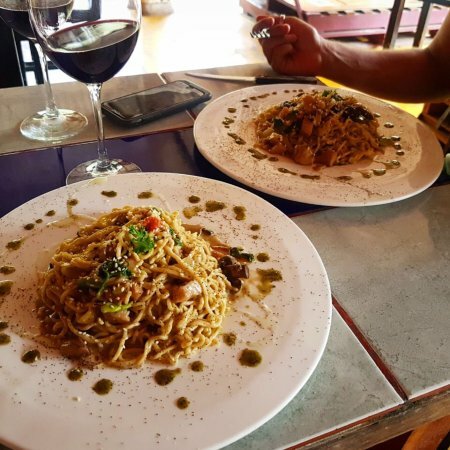 The restaurant offers pizzas, Piña Colada, pasta, salads, GRAPPA, craft beer, red tuna carpaccio, Spanish sauvignon blanc, fettucini Siciliana, homemade ice-cream, and much more. Thanks to the skillful gourmet, every dish is excellently cooked to meet every taste. You can’t miss out on the Pizza margarita; it is served with onions, peppers, prawns. Both the Margarita and the hawaiian pizza are out of this world. If you love seafood, you can either order the coconut fish or the swordfish accompanied with olive oil and garlic. These dishes will have your mouth watering. 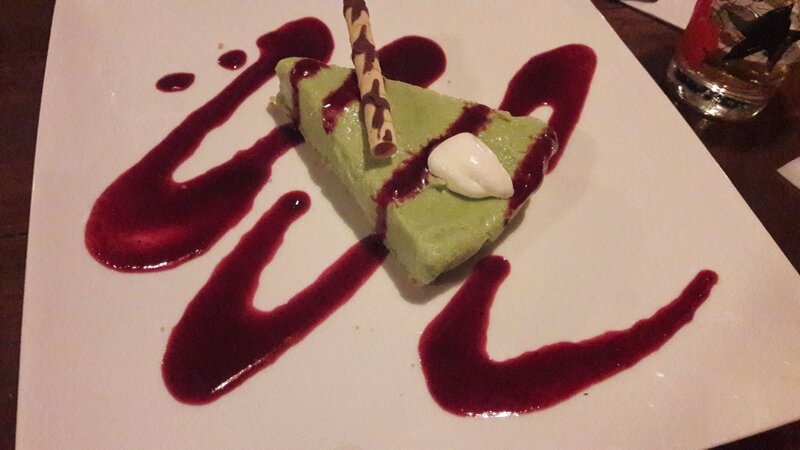 Though the menu doesn’t include veggies, you can request for pesto and veggie. Given the large portions of the dishes, you can order the bruschetta or the coconut makeral and enjoy either of them with your family. You can end your meal with anchovies, foccacia, pesto, complimentary meals. For beverage, you can order the sangria, pina colada, cocktails, and so forth. The restaurant provides the clients with excellent services. The staff is hospitable and helpful. They do all their best to satisfy every client either with services or food. For example, as soon as the clients make their orders, they bring their food in no time. If they need something extra, they can talk to the servers, who are around their tables. 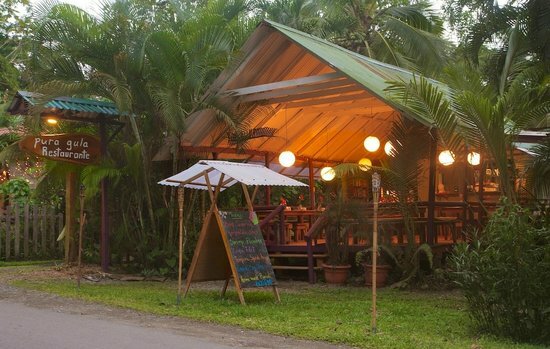 Restaurante El Sol Del Caribe, a little spot based in Puerto Viejo de Talamanca, offers unbeatable dishes at affordable prices. If you are around this area, look no further. 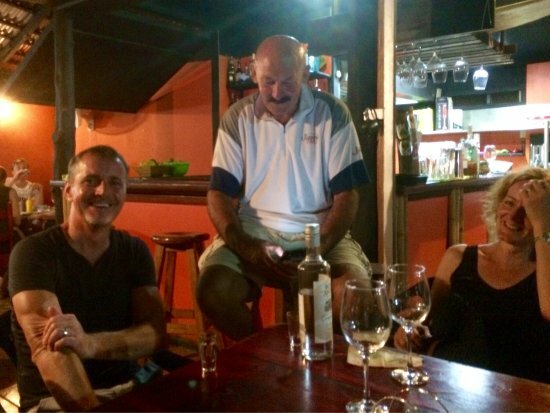 Whether you a local or a traveler, you will feel home as the spot is frequented by both of these clients. Given that it’s a busy spot, you’d better make a reservation or go early. The menu comprises in Caribbean Chicken, tuna steak, salads, hot sauce, hamburgers, fish curry, rice, fried plantains, beans, carribean fish, snapper, batjdos, and much more. Every food is cooked and dished up very well. To whet your appetite, you can grab the salad, which is fresh and appetizing. Then, you can ask for tuna steak accompanied with the snapper. This dish is unbeatable. The Carribean fish is served with rice as well as beans. This is a huge food. Preferably, you can enjoy it with fresh juices like cocktails, lemonade, and pineapple juice. If you still need more food, you can ask for the Carribean chicken accompanied with a hot, spicy sauce. The chicken is excellently cooked and presented on the plate. As you start to eat it, you see the meat fall out of the bones. Another fruit drink worth ordering is agars fescas. The restaurant offers both lunch and dinner. When the clients arrive, the staff welcomes them with a smile and seats them on time. As the clients choose their favorite dishes, the owner quickly serves them with the help of his wife, the cook. If they need more food, they can reach out to the servers. The staff is always walking around the tables; they make sure everybody is having a great time.